If you have been asked to provide the Department of Immigration with a Fiancé Visa Letter to support your Prospective Marriage Visa application, this can be obtained immediately following your first meeting at the Perth Marriage Office. 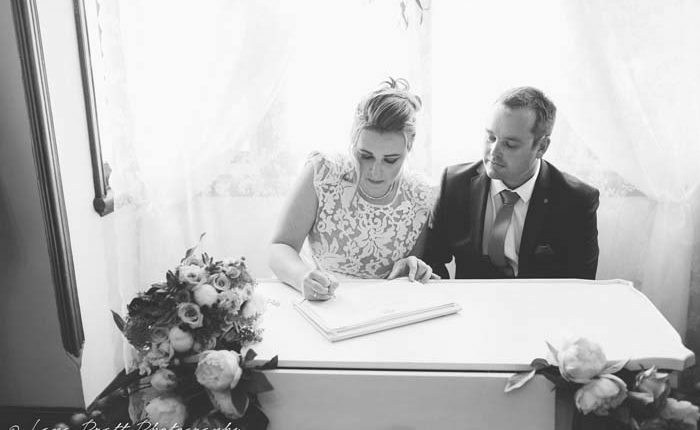 Only one persons signature is legally required in order to lodge the Notice of Intended Marriage, so the party to the marriage already in Australia can lodge this Notice on behalf of the couple, prior to the second party arriving in Australia. The Prospective Marriage Visa is available to people outside Australia who intend to marry their Australian partner after they enter Australia and is valid for nine months from the date of grant. A Prospective Marriage Visa holder must enter Australia, marry their sponsoring partner and apply for a partner visa in Australia within the nine month period. The visa cannot be extended in Australia. Further information on the Prospective Marriage Visa is available from the Department of Immigration here.